Draft: 1994, Montreal Expos, 5th rd. October 30, 2014 RHP Javier Vazquez assigned to Cangrejeros de Santurce. October 30, 2014 Cangrejeros de Santurce placed RHP Javier Vazquez on the reserve list. January 2, 2013 RHP Javier Vazquez transferred to Criollos de Caguas from Leones de Ponce. October 30, 2011 RHP Javier Vazquez elected free agency. May 13, 2011 Florida Marlins activated RHP Javier Vazquez from the bereavement list. May 10, 2011 Florida Marlins placed RHP Javier Vazquez on the bereavement list. December 2, 2010 Florida Marlins signed free agent RHP Javier Vazquez. November 7, 2010 RHP Javier Vazquez elected free agency. October 25, 2010 New York Yankees activated RHP Javier Vazquez. 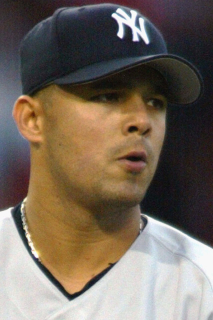 October 5, 2010 New York Yankees reassigned RHP Javier Vazquez to the minor leagues. November 11, 2009 Javier Vazquez assigned to Leones de Ponce.